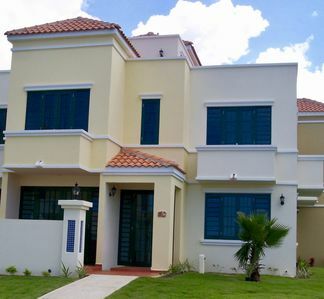 Beautiful 3 bedrooms 4 bathrooms villa in a gated community three minutes from Combate beach. 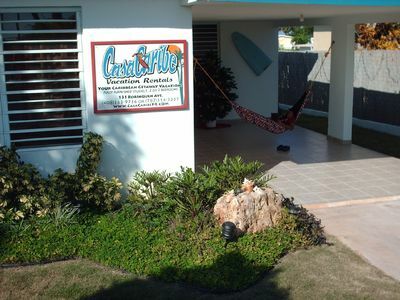 It is located right off route 3301, which takes you directly to Combate beach, Playa Sucia beach, El Faro and different bars and restaurants. 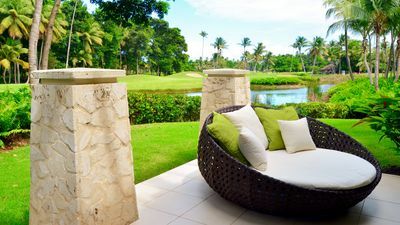 Whether you want to beach hop, bar hop or just relax with a good book by the pool, this villa is in the perfect location. 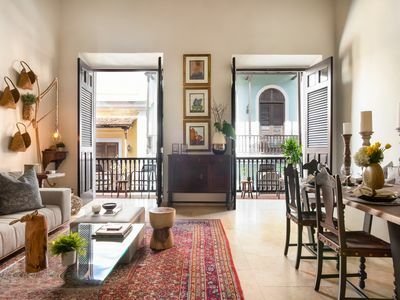 This beautiful villa provides all the practical amenities you will need in a home away from home and does it in style. The master bedroom has a private bathroom, and just a short walk away, past the laundry room (washer/dryer included) are the two spare bedrooms that share a second bath. One room has twin beds, which every child loves. 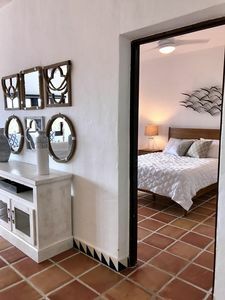 All bedrooms have their own air conditioning unit - not that you need it since the villa is very close to the beach area where the Caribbean breeze is felt all day long. The kitchen is fully equipped with brand new stainless steel appliances, not that you will want to cook when there are a lot of restaurants nearby with fresh seafood! 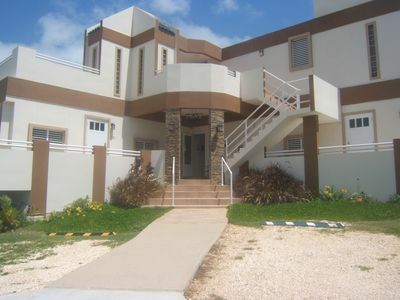 The villa has 3 floors with 2,600 square feet area. The first floor has a living room, dining room, family room, kitchen and 1/2 bathroom with an a/c unit which covers the entire floor. This floor has also a terrace area in the exterior. 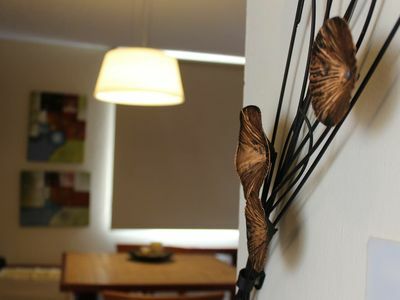 The second floor has the master room with its own bathroom, laundry and two more bedrooms with an additional bathroom. The third floor has an enormous outdoor terrace with a spectacular sea view which include also 1/2 bathroom. 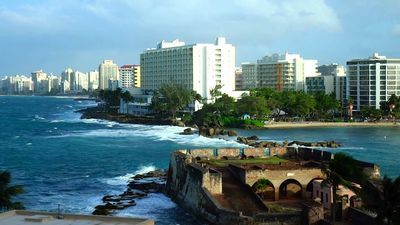 You will love the view and the fresh breeze that is felt up there. This area is ideal for BBQ and for your own private party. Unlimited wifi is also provided. 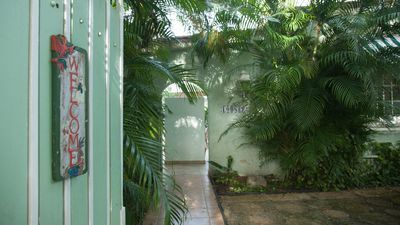 The common areas include a pool area, which is like an oasis, except it is located in the center of a very lush paradise, not a desert. Complete with gazebo designated to make activities at that area. 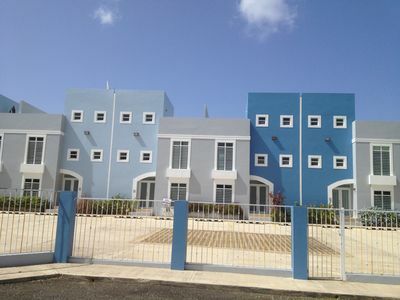 This complex includes 10 exclusive villas; so the common areas are shared among few people only. The complex has controlled access to ensure your privacy. 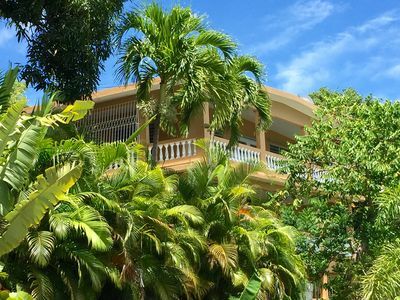 Keywords: centrally located, 3 minutes from Combate beach, 6 min from Playa Sucia beach and El Faro, 10 mins from hwy 100, 11 mins from Boquerón beach, 20 mins from Mayaguez mall. 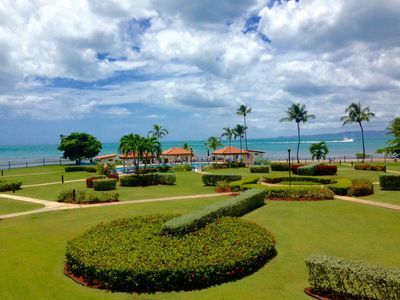 Near shopping, beaches, restaurants and bars, yet in private gated community and away from tourism and crowds. 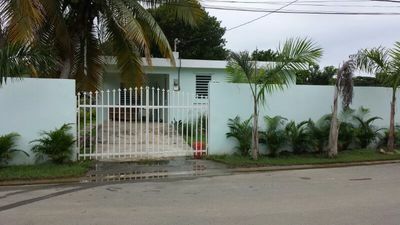 Villa has washer and dryer, fully equipped kitchen, everything a family could need including 40' LCD with home theater system. 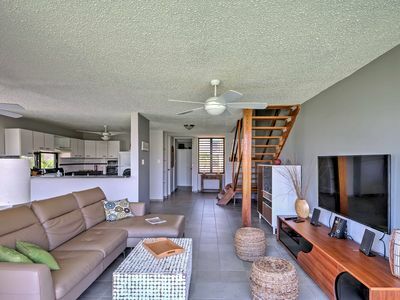 Villa Palmar 3 bedrooms in beautiful Playa Azul just a jump away to the beach! 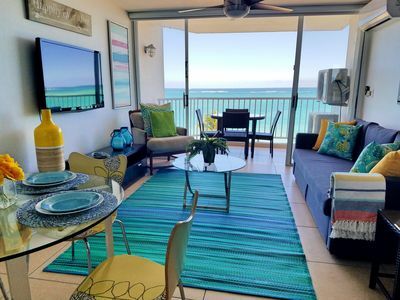 Walk to the Beach with this perfect island home away from home! 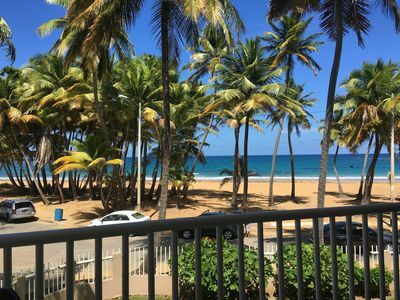 Beachfront ★ King Bed★ Washer/D ★ Marbella Del Caribe Condo ~ Newly Remodeled! 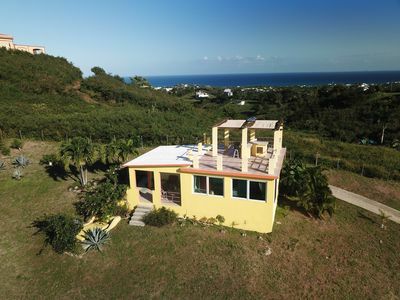 Villa Tortuga, Isabela PR Come stay in paradise! 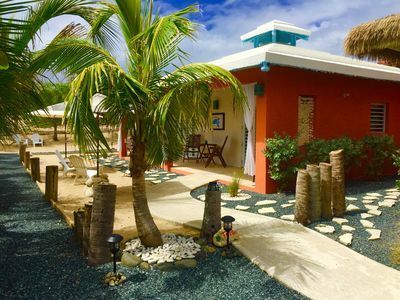 *BRAND NEW* Beachfront Paradise, WOW! 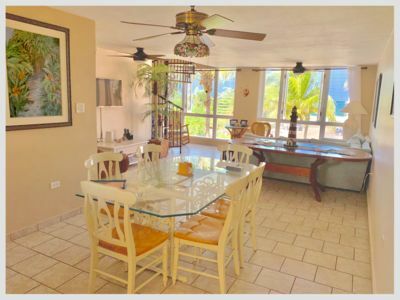 Beachfront Duplex w/Ocean View, Pool & 3 Terraces! 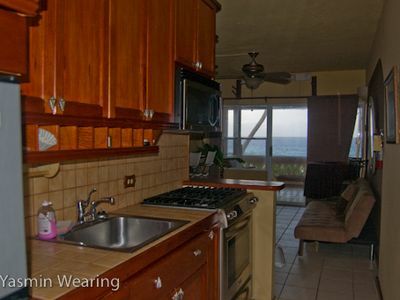 Exquisite Hillside House with Fabulous Ocean Views - WiFi, A/C, & Beach Gear!